Sometimes, there are days when an unsuspecting visitor will come knocking to your door and you haven’t had time in the day to clean your household. Luckily, there are a number of ways that you can resolve this problem with only 5 items, getting your house visit-friendly in no time! If you have kids about, put them on toy duty and ask them to take them to their rooms! Use this time to plug an air freshener in, or even light a candle – set the mood for your cleaning venture, and even decorating the home for your guests somewhat. 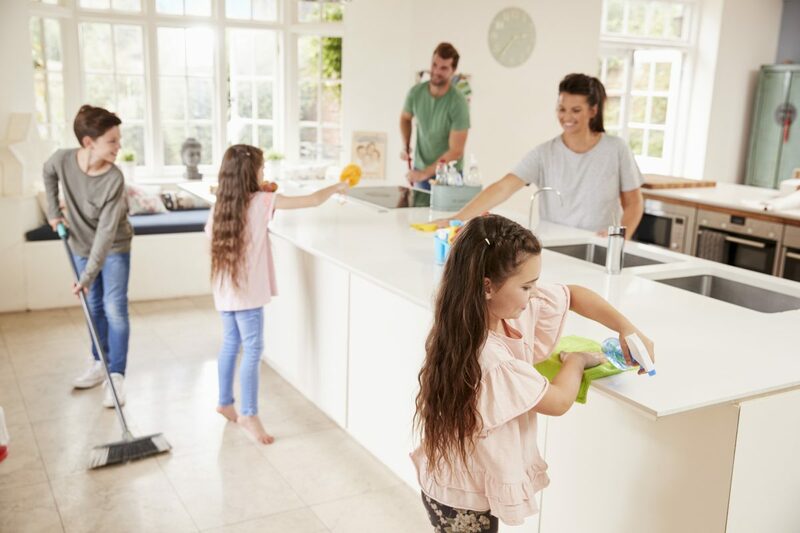 Rather than running up and down and around the house, cleaning every nook and cranny, focus your attention on the main rooms your visitors are likely to enter: living room, kitchen, bathroom. In each of the rooms set aside time to work on the clutter – throw as much clutter into it as you can as you work your way through these three main rooms, set this bag aside to tend to it later. You can then move all of your dirty dishes into the dishwasher or to your oven, don’t bother wasting your time washing all of the dishes; instead, hide them, and then wipe down the counters. Next, you will want to take a basket or an empty shopping bag to your bathroom(s) and gather up anything that doesn’t necessarily need to be in the bathroom – any lipsticks, discarded magazines, empty toilet roll tubes, hairspray bottles and even his toothbrushes. Flush your toilet and give it a good scrub with the toilet brush. Proceed to wipe down your sink. If you have any spare time, vacuum the rooms. Not only does this take care of any dirt, but a freshly vacuumed floor will make a room look and feel cleaner. Or, you could contact Pinnacle cleaning services to take care of the job!